We receive any number of emails from individuals who wish to travel to Egypt, but have no idea what sort of tours or holidays are available. Actually, people go to Egypt for many different reasons and for many different types of vacations. And vacations to Egypt do not have to fall under a specific type of travel, as many visitors mix and match various types of travel. The classic tour of Egypt is mostly Pharaonic (Ancient Egypt), though most of the time this will also include some religious and Islamic sightseeing. The most common classic tour is usually 10 to 14 days, and generally includes Cairo, Luxor and Aswan, though not particularly in that order. Classical tours are often arranged with, or without a Nile Cruise. 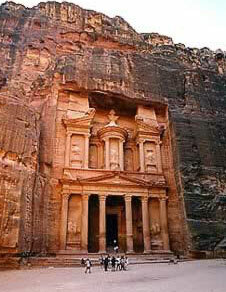 Typically, such a tour will begin in Cairo, as that is the major airport where most tourists enter Egypt. 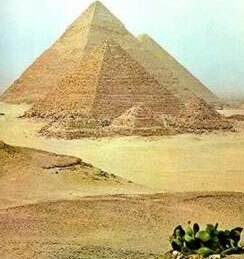 However, tours of the Cairo area are frequently split between the beginning and end of the trip. For example, a tour might cover the Giza Pyramids (Great Pyramid), as well as Saqqara (Step Pyramid) and even the Egyptian Antiquities museum on the first day of the tour. Then, after traveling to Luxor and Aswan and returning to Cairo, tours will often visit the Citadel and Khan el-Khalili market in Islamic Cairo and the churches and Coptic museum in Old Cairo. Of course, the tours may not be in this specific order. After the first day or two in Cairo, such tours usually move on to either Luxor or Aswan, usually by air but possibly by train. However, other forms of travel are often arranged, including bus travel. If this is the case, the bus may stop at antiquity sites along the way, such as some of the antiquities near the Fayoum. The next leg of the tour usually begins in either Luxor or Aswan. 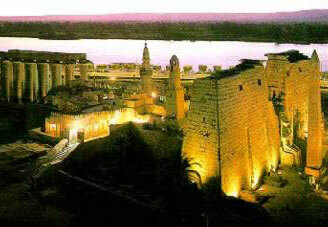 Luxor is often arranged as either a one or two day tour. In the morning, or one day of a two-day stay, the tour visits the West Bank where many monuments and tombs are to be found, including some of the finest in Egypt. This usually takes place in the morning in order to avoid the heat of the afternoon. Then, one afternoon or one day will be reserved for the east bank, where the Luxor and Karnak temples are located, as well as the excellent Luxor museum. Other activities might include a visit to the local bazaar. For Aswan further south in Egypt, a day tour is usually sufficient for many, and may include visits to Elephantine Island, St. Simeon's Monastery, the unfinished Obelisk, the Nubian Museum, the High Dam and Philae Island, though time may not permit most standard tours to visit all of these sites. However, a frequent addition to the standard classical tour is the temples at Abu Simbel. This will usually add a day to the Aswan tour. Most tours fly to Abu Simbel and back in one day, leaving some of that time open to expand on the visits to Aswan sites. Other less common tours may bus to Abu Simbel, possibly with a stay in a local hotel there. Golfing tours almost always include a classical element. This is not a traditional tour at all, so it is difficult to say what the normal tour will include. However, most usually they include one or two courses in Cairo, then perhaps Luxor and possibly the Red Sea coast or the Sinai. Many such tours are set up for a morning or afternoon of Golf, with the remainder of the day spend sightseeing. 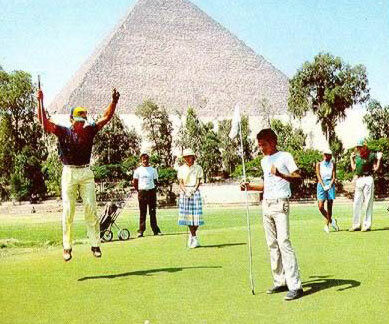 However, getting in a round of golf in Egypt does not necessitate taking a golfing tour. A round of golf may be arranged at several locations on a classical tour, or for that matter most any other type of tour, as there are now a variety of courses spread out over Egypt. One may, of course, fish most anywhere along the Nile, and visitors will see Egyptians doing so even on the bridges and banks in Cairo. 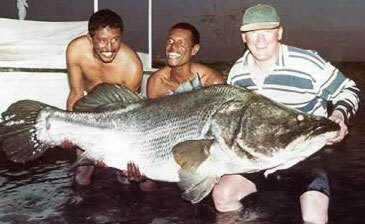 However, of growing popularity, as well as being unique, is Lake Nasser fishing. Here, one may find some of the largest fresh water fish in the world, and there are regular fishing expeditions. Because Lake Nasser is just south of Aswan, fishing expeditions to the area may include some classical sightseeing, though often they will not. While somewhat rare, there are also deep sea fishing opportunities in the Red Sea, though one must look around to find them. 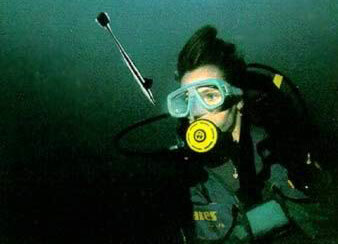 Specifically, we know of deep-sea fishing boats in Hurghada on the Red Sea Coast and Nuweiba in the Sinai. We currently believe that more people come to Egypt for beach vacations then for any other reason. This might be a surprise to many who would believe that classical tours would lead the pack. But for many Europeans, Egyptian beaches offer the least expensive means of a sand and sea holiday. Traditionally, the Sinai and Sharm el-Sheikh specifically was for wealthier vacationers, while the Red Sea Coast and Hurghada provided the low-end resorts. However, El-Gouna, just north of Hurghada, has provided the Red Sea Coast with a high-end draw. While these locations are packed with vacationers, a less frantic upper crust vacation can be had in locations such as Soma Bay on the Red Sea, or Taba on the Sinai. 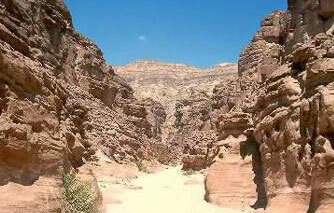 Less crowed budget areas include Safaga on the Red Sea and Nuweiba and Dahab on the Sinai. It is not uncommon for beach vacations to include some classical or religious sightseeing. 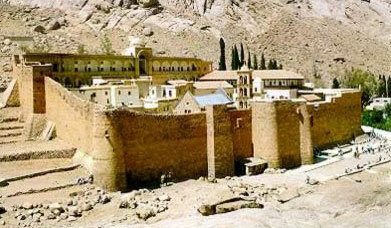 Many beach goers in the Sinai will take some time to visit St. Catherine's Monastery, as well as some of the other religious monuments located on the peninsula. And from either the Sinai or the Red Sea coast, visitors often arrange day or two-day tours to Cairo, Luxor and/or Aswan. t The Western desert is becoming more and more popular with tourists. The current rage is the Bahariya oasis, where the valley of the golden Mummies was discovered not too long ago, and where new discoveries seem to be cropping up almost continuously. However, the Siwa Oasis where Alexander the Great visited the Oracle of Amun in 331 BC has been for many years a consistent favorite among the oasis. While the Western desert is sometimes the primary destination for tours, it is more often an add-on for the more common classical tours. The Eastern desert is virtually never a primary destination for tours. Surprisingly, more than a few people who come to Egypt arrange for a Kenya safari, either before and or after the Egypt leg of the trip.